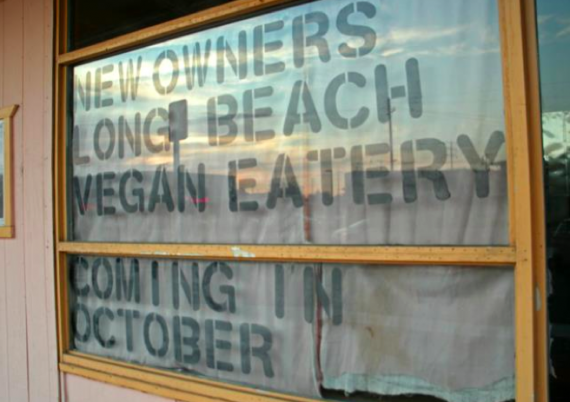 quarrygirl.com » Blog Archive » heads up: long beach vegan eatery NOW OPEN! we will let you know in a day or two how it is. it was okay. lots of kinks to work out, but will be visiting again in a month or so when things are fully functional! Agreed…it was only okay. Don’t get your hopes too high! I will go back to support a local vegan business but it’s nothing to drive from L.A. for. Support Jeff T. Support LBVE. Can’t wait to hit it up the next time I’m in Long Beach. Blah. I was super disappointed. My food seemed like a frozen premade dinner from Trader Joe’s…but without sauce. 🙁 I actually threw most of it away. Their desserts were crazy!!! Then I found out they were frozen…and unfortunately, mine were still frozen when I got to the center of them. : (. http://www.vegantiramisu.com. Super delish desserts from that company though, wow!!! Their stuff all seems like frozen and/or premade components that they throw together. Might try them again in a month. i had a similar experience. i ordered the bbq drumsticks, my boyfriend ordered the chicken sandwich, and we shared fries and a whoopie pie. while the drumsticks tasted great, they were still cold in the middle. my boyfriend couldn’t stop talking about how disappointed he was in his burger during the drive home. it was a plain ‘ol bun, a gardein chicken breast, veganaise, and a couple of slices of flat lettuce. i could’ve made that at home for half the price! we liked the tots, though my boyfriend swears they aren’t homemade. i also wish i knew mine came with tots or i wouldn’t have ordered an extra basketful. our whoopie pie was good, but not remarkable, and i swear the frosting was just pillsbury. i bake a lot, and well, and i’d rather just make my own. i hope they’ll kick their burger and other goodies up a notch for our next visit, which will be well after they’ve got their stuff together! yeah, there was really no oomph to anything we ate. i even found the mission statement kind of weird.. they want to take away the assumption that vegan food is gross. i think that’s already been done and we all know about gardein and seitan. it felt more like i was eating my own quickly prepared dinner options than $9/plate restaurant food. that being said, it WAS their FIRST DAY, so they’ve probably already got new ideas now that they have a better feel for what a regular business day is like. I even asked if they made any of their own cheese/cheese sauce, and he said that it was all Daiya. I have nothing against Daiya, but I can do that at home, and probably for a lot cheaper. I was so stoked to have a vegan place in LBC!! I will stick with the Wok n Roll near by (who also has the same vegan tiramisu!!). I would compare it to an (average) omnivore restaurant that finally discovered fake meat and just substituted gardein into every recipe without really knowing how to prepare it. It would be a little bit exciting for an omnivore restaurant embracing vegans, but for a VEGAN restaurant? It’s nothing special at all. you are too funny! i feel the same exact way! the menu and all the little passages on it made the restaurant seem like it was geared toward omnivores. i mean, us vegans have already discovered gardein and we know it only costs like $6/bag of chicken breasts. gardein and seitan are not revelations, you have to give me something i can’t easily make myself if you want me to keep coming back. i was really disappointed because none of it was really special. it was all easy-to-make stuff. i mean, veggie grill uses gardein but they pump it up! they cook it well, add tons of fixin’s and give you a hearty, fluffy whole wheat bun. i was really excited to have another vegan place in lb, but they need to get creative! oh and i love wok n roll! and your buttercream sounds delectable. I’m sad because I really want to like it. I hope they get it together!